LeRoy Bell and Deborah Bell together have more than 30 years of experience in the financial industry. They incorporated Ingroup Financial Services in 1980 to provide life and health insurance products and services. As the insurance and financial services businesses began to evolve and merge, they created Compass Financial Strategies in 1995 to expand their business into asset management and wealth creation. Compass Financial Strategies later developed a strategic relationship with Dimensional Fund Advisors. Compass currently is the only financial planning firm in West Texas affiliated with Dimensional, a pioneer in the application of academic research to investing. Dimensional is one of the largest privately-held managers of institutional mutual funds and separate accounts. A global company, Dimensional partners with investment consultants to supply the academic research and resources needed to develop customized solutions for defined benefit, defined contribution, and other corporate, public and nonprofit plans. Dimensional does not offer its funds directly to individual investors. 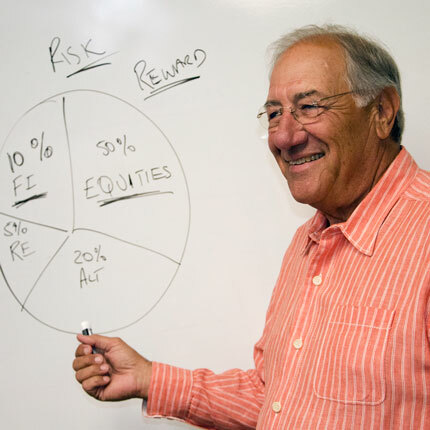 Its funds are available only through a select group of fee-only advisors, such as Compass Financial Strategies. Through this affiliation, Compass is able to provide its clients with state-of-the-art electronic access to their accounts and up-to-date investment information. Compass Financial Strategies became a financial advisor with Dimensional because the principals shared the same philosophy. They believe that trying to time the market by picking the right stocks and chasing yesterday’s returns is a loser’s game. We believe the market is efficient, but not perfect. Today’s electronic environment distributes information quickly, and a pricing gap exists only for a very brief time. Our model of disciplined, diversified investing creates opportunities to built wealth over time to reach your financial goals. We provide our services as financial coaches using a clearly defined fee structure that eliminates commissions and excessive trading found in many situations. Our staff – your financial coach – is available with one telephone call, and we eliminate confusing multiple options often found with large, impersonal advisor firms. We believe financial coaches play a vital role. We also conduct webinars, send monthly emails, and use the latest reporting systems to benefit our clients.